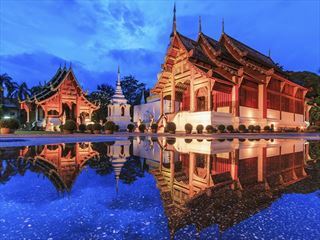 Begin in Phuket and embark on your trip towards the Northern Phuket Islands. 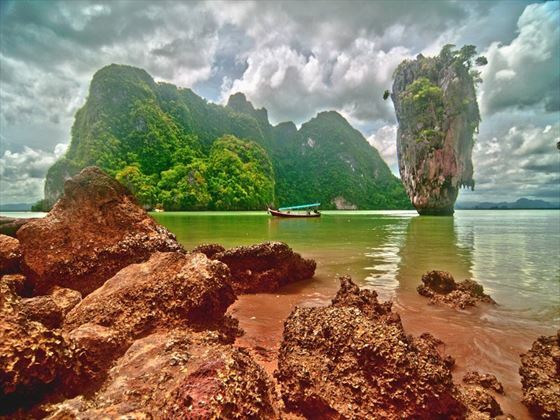 Today you’ll explore the emerald waters of Khao Phing Kan – also known as the ‘James Bond Island’, as the setting in ‘The Man with the Golden Gun’. Afterwards, you’ll visit one of the last ‘Sea Gypsy’ villages and spend an afternoon exploring ashore. 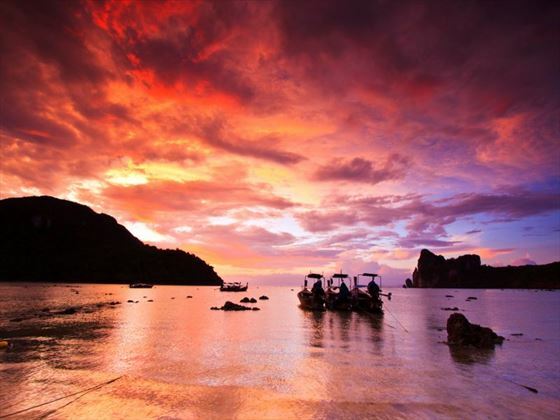 There’s also the option to take a long tailed boat tour to the Tam Lot cave to witness prehistoric cave paintings. 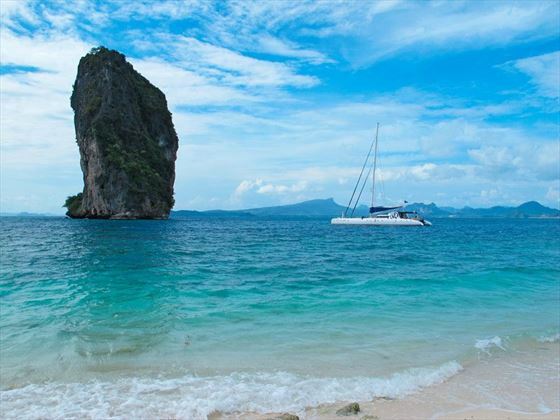 Sail towards Railay Beach today to spend time on the gorgeous shore and take a dip in the warm waters. 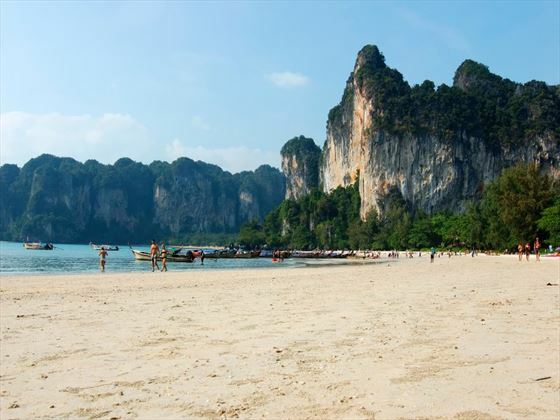 After some snorkelling practice and a bite to eat, you will arrive in Railay in the early afternoon in time to explore at leisure. 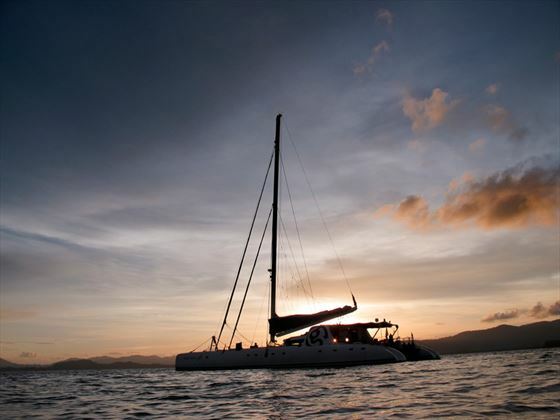 In the evening, you’ll head to a local restaurant and then enjoy the nightlife. 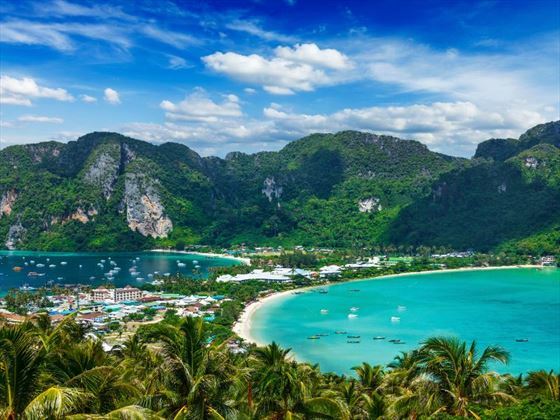 Rising early this morning, you’ll set sail towards the Phi Phi Islands, stopping shortly along the way to snorkel in Monkey Bay. 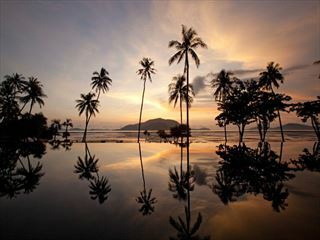 In the afternoon, leave the boat at Ton Sai Bay and enjoy some lunch, swimming and shopping. 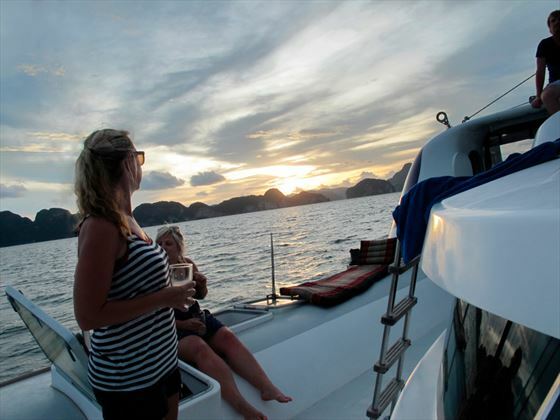 Be sure not to miss the opportunity to head to a local viewpoint for amazing views overlooking the archipelago. 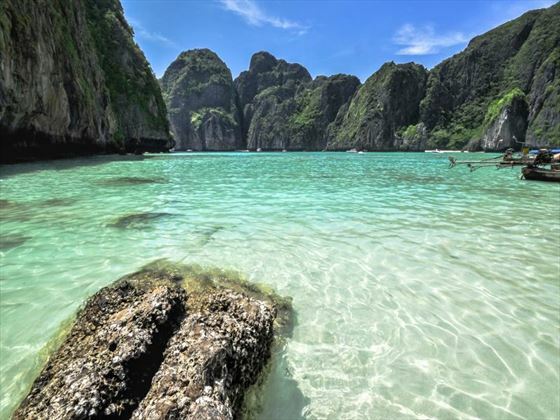 Later on in the afternoon, set sail once again for Phi Phi Le which is home to Maya Bay – the location for the film ‘The Beach’. 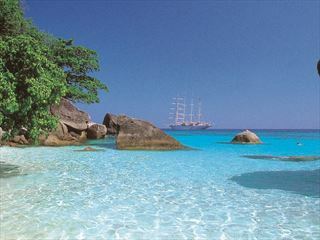 Today will be spent sailing through the Southern Phuket Islands, with time to snorkel and relax amidst amazing scenery. Arrive at the tiny island of Koh Khai Nai today for excellent swimming and snorkelling just off a beautiful clear sandy beach. 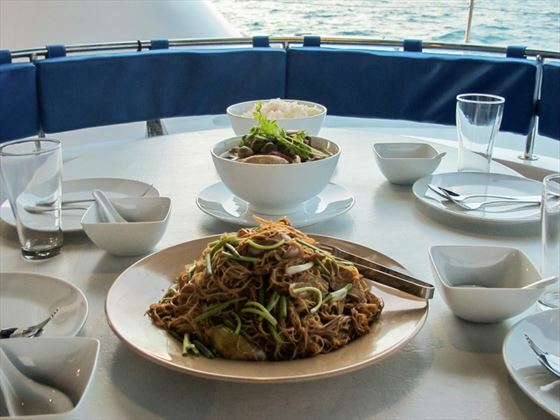 In the afternoon, sail into Phang Nga Bay for dinner on board in a secluded anchorage.